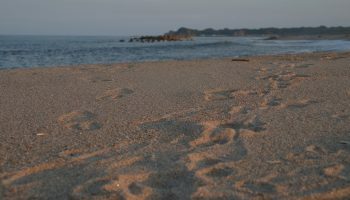 Sadly for many tourists, Fukushima remains off-limits because of the Dai-ichi nuclear accident but the no-entry zone actually makes up less than 10 percent of the prefecture’s total area. Look beyond the negative publicity and you’ll find an expansive region of breathtaking natural beauty which you’ll have practically all to yourself. Mount Bandai is one of the most famous mountains in Japan. 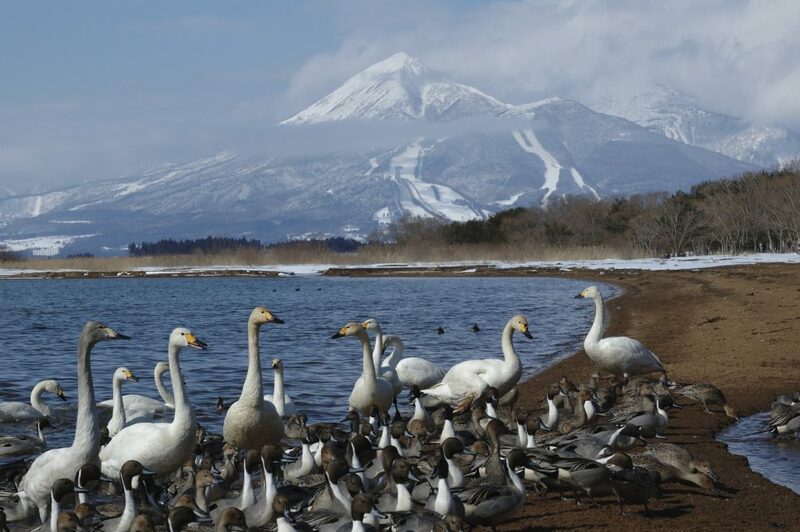 Camping, hiking, fishing, hot springs, skiing and marine sports are on offer in and around the remote Bandai-Asahi National Park where the majestic Mount Bandai soars into an azure sky. 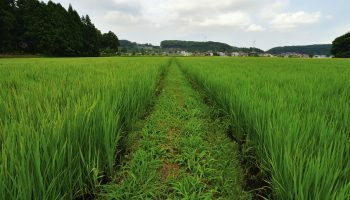 Or you can head into the diverse terrain of the Aizu-kogen highlands stopping by the postcard-perfect samurai city of Aizuwakamatsu for some locally produced rice wine. 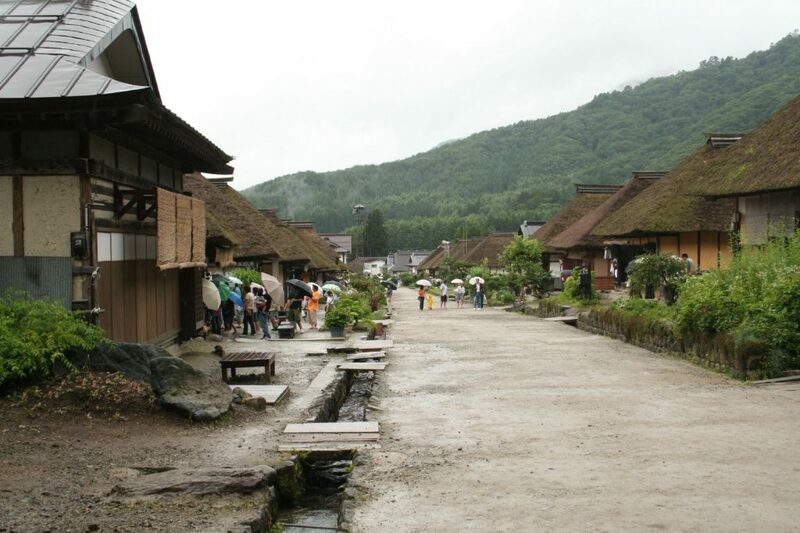 Step back in time at the old samurai city of Aizuwakamatsu. Photo by Russell Trow. 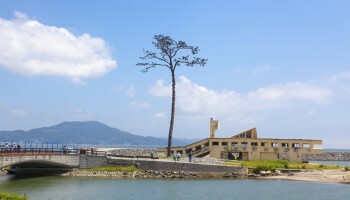 Those interested to see the area impacted by the 2011 tsunami can take part in the so-called “dark-tourism” tours offered by locals seeking a way to atone for the past. It’s a harrowing but hopeful testament to the healing power of travel. 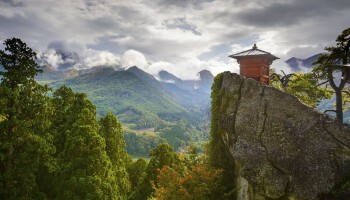 Japan’s third-largest prefecture, Fukushima is the entryway from urban Kanto into remote Tohoku. The southernmost city of Shirakawa, reachable via a one and a half hour bullet train from Tokyo, makes a good starting point for exploring the region before you travel deeper into the north. 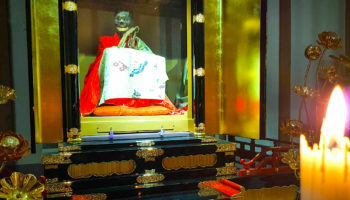 Aizuwakamatsu is on point to become Fukushima’s star attraction, as the historic castle town undergoes careful restoration to preserve its old samurai houses and traditional streets. 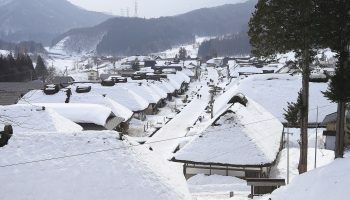 The town is also one of the country’s main producers of sake (rice wine) made from melted snow water from the mountains. Tours and tastings are available – sober up with some local wappa meshi, a dish of steamed fish over rice. 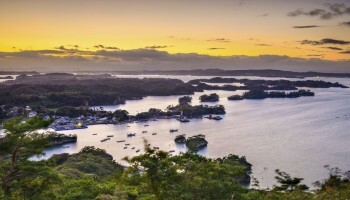 If you have time, you can travel further north to quaint Kitakata for more sake and a bowl of famed curly noodle ramen. 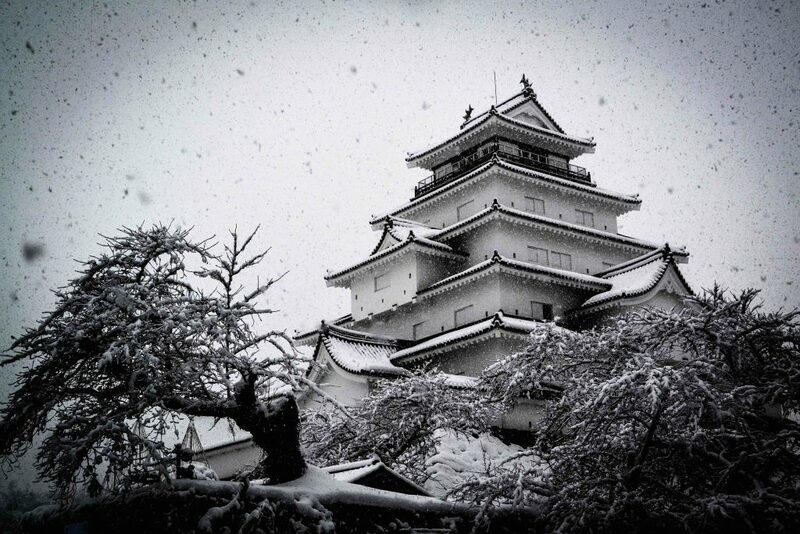 Photo by: Aizuwakamatsu Castle or Tsuruga-jo was one of the last samurai strongholds. Photo by L’oeil etranger. 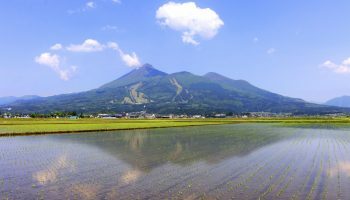 Between the Oze National Park, the Aizu-kogen highlands and the Bandai-Asahi National Park, the possibilities for outdoor exploration are endless. Mount Bandai is one of Japan’s most famous mountains, surrounded by more than 100 ponds and lakes formed by lava flow from its 1888 eruption. 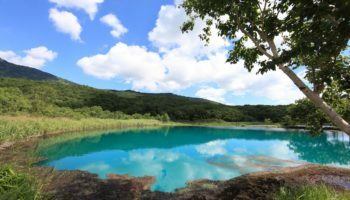 The Goshiki-numa (five-colored) ponds are the area’s big draw, where you can watch the water change color from green to blue to red from the dedicated hiking path. If you want to extend your spring camping expedition, there’s bird-watching in the summer, autumn-leaves viewing in the fall and snowshoeing in the winter. What are you waiting for? Follow the noodle north to scenic Shirakawa. Fukushima's Fuji is just as iconic. Spooky but real: This self-made mummy is a rare insight into extreme religious practice.